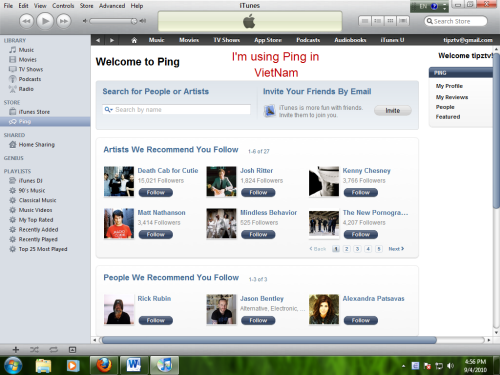 With the new Itunes 10, Apple has included a new social music network called Ping. The problem is it currently supports only 23 countries. Many users from all over the world are blocked from using the Ping service! These directions will allow users to enable Ping even in unsupported or blocked locations. To really use this correctly, you may need to create a different account as well. To create a fake US account, you should probably create an iTunes account without a credit card. 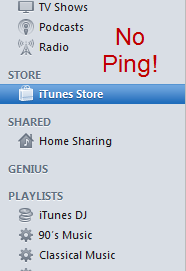 Here is what many users got in Itunes 10: No Ping tab! 2. Go to Itunes Store and scroll down the bottom. You will see your country’s flag there. 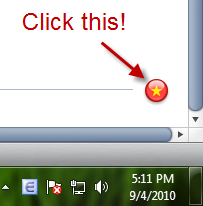 Click on it! 3. 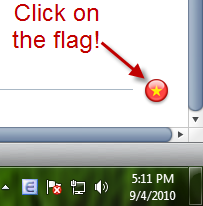 You will then be redirected to a window that contains many countries’ flag. Scroll down the bottom and choose The United States’ flag. 5. After that, you can start using Ping right away!